Hi.. it's Bev here today. 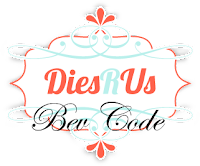 This is my 1st DT project for Dies R Us and I am super excited to be able to share projects using some amazing products. This Smile card is the first project I want to share with you. I used a background die and the sentiment die cut. The light blue colours with white and the great bird image make for a light airy "Smile" card. So to start this card I gathered some papers, stamps and dies together. Using 2 different colour paper I die cut my pieces for the card. With a fabulous base and print paper I then stamped a mat for the fun bird in flight using My Sweet Petunia Misti board. I die cut the tile background and glued it to the front of panel looking blue paper. I finished with some wrapped twine and tied bow. I took the stamped outer stitch looking square which I will be pop mounting the bird paper image on the centre of. 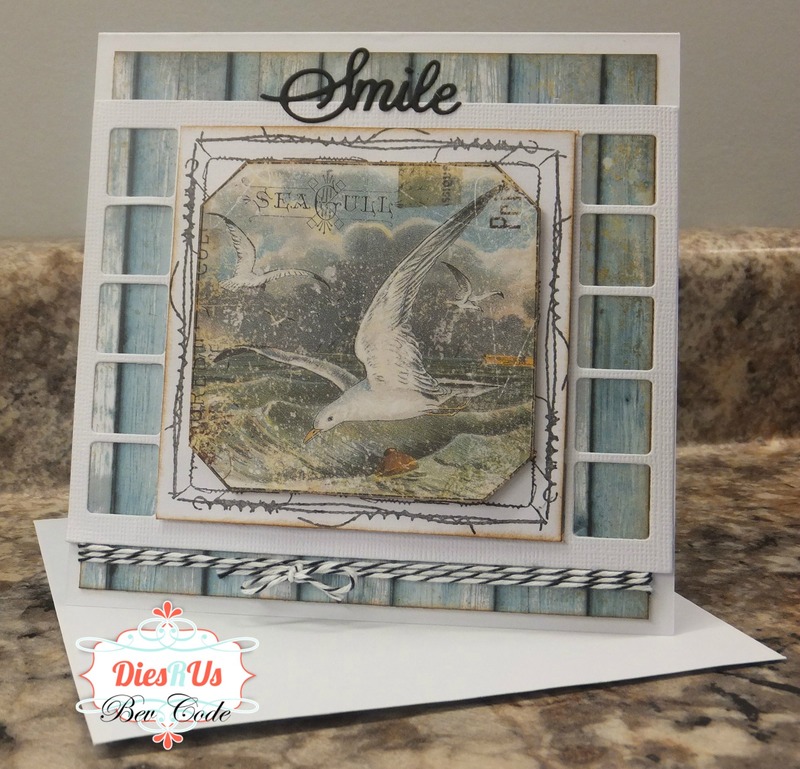 I am pleased with the colours, layers, fabulous die cuts and the fun stamp / image centre with twine tied accent and die cut "Smile" sentiment. Beautiful image and card! Love the dies you used. A pleasing and very calming card that makes me SMILE! What a beautiful creation Bev! Thanks for awesome inspiration using dies! Beautiful card Bev, such soft colors. Beautiful card. I love the soft colours and the dies you used to showcase your beautiful image. What a lovely card Bev! What a great way to build your focal point on top of that background die. Love it!